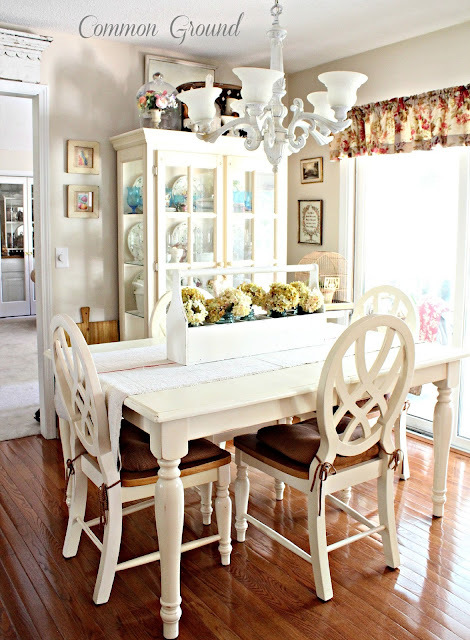 Common Ground refinished her tabletop using chalk paint. So beautiful! 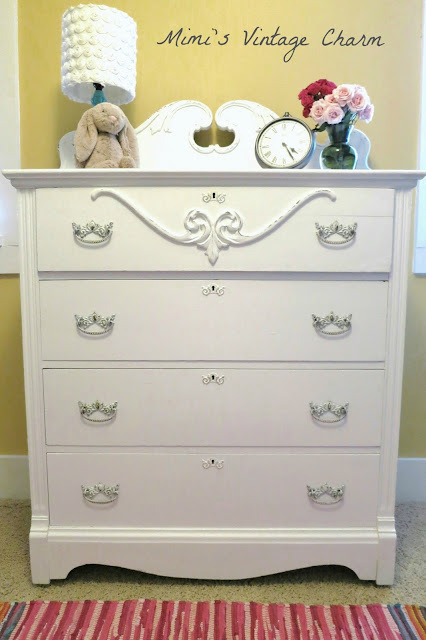 Mimi's Vintage Charm showed off a vintage dresser her mom transformed for her niece's nursery. I love all of the detail. Windsor and Main shared the very first bag she made in Craftsy class. So cute! Crafty Journal shared her recipe for chicken salad. Yummy! After I hung it up, it just didn't look complete. It seemed a little high and to be just floating there. Then I remembered that I had bought these letters from Target a few months back. They were on clearance for only $1.48 each! My daughter's name is Sydney, but Target only had a few letters left so I could only get a S, Y and a D. That was okay because so many people call her Syd anyhow and she really likes that nickname. I didn't know what I was going to do with these letters when I bought them, but when I saw how awkward the memo board looked all alone, I knew exactly what I would do with them. At first I thought I would cover them with scrapbook paper. But then I realized it would look so much cooler if I used fabric. So, I started by using the left over fabric from the style tiles and ironing on fabric interfacing I have on hand that I use with my Silhouette machine. I then laid the letter upside down on the backside of the fabric (the part with the interfacing on it). Then using an exacto knife on a cutting board, I carefully cut around the letters. I didn't trace it first, I was just very careful not to move my letters until I was done cutting. The interfacing keeps your cuts perfectly clean with no fraying of fabric. Then using Mod Podge, I adhered the cut fabric onto the front of the letters. I only applied the Mod Podge to the back of the fabric (not the face of the fabric). This project was done for a total of $4.50!! Using leftover fabric and things I had in the house, I made very custom letters for her room. She loves it. It certainly adds to the tween vibe of her new room. Plus it allowed me to lower the style tiles so that my daughter can reach them better (I covered the hole in the wall from where I originally hung the board with the letter Y-faster than patching the hole - Lol). So incredibly easy but with a really professional end result. I want to make more of these!! I hope you will let me know what you think of this project. 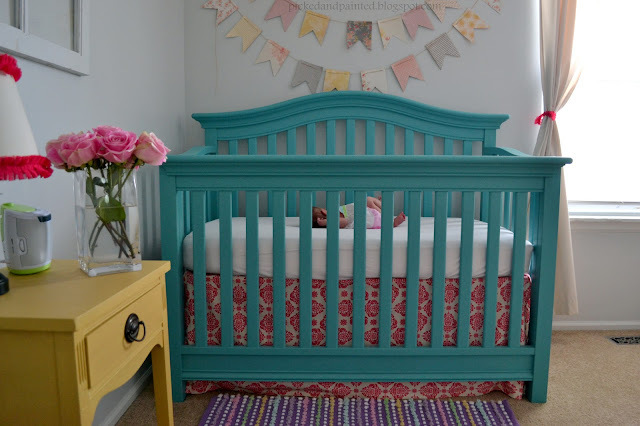 Picked and Painted revealed her gorgeous nursery for her second baby Amelia born only a few weeks ago. I am in love with the aqua crib!! 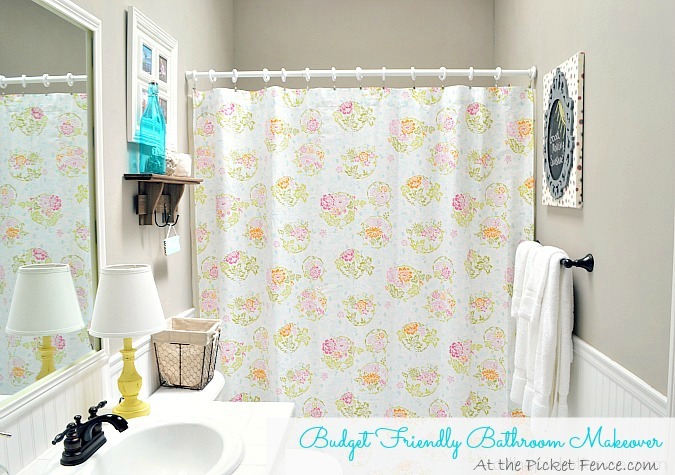 My friend Vanessa, from At The Picket Fence, updated her kids bathroom on a budget and created this gorgeous space. 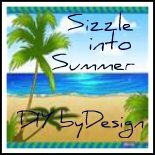 You must check out all of the before and after photos. Shine Your Light transformed a bamboo chair she got from her in-laws. What an amazing makeover. 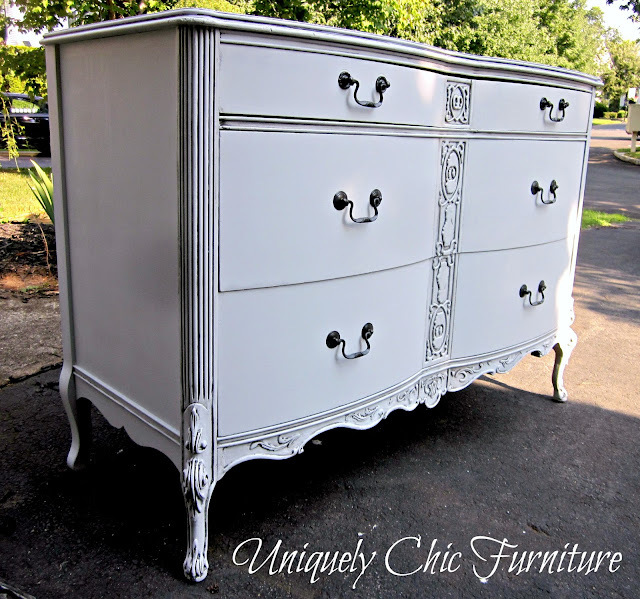 Uniquely Chic Furniture painted and glazed this Goodwill find. Beautiful! 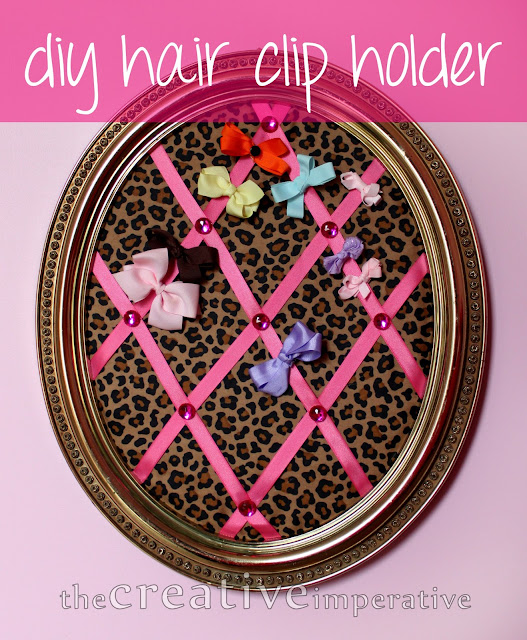 The Creative Imperative turned a regular frame into a super cute DIY hair clip holder. 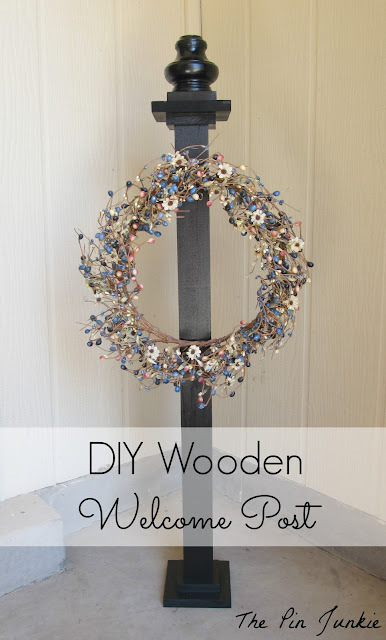 The Pin Junkie shared how she created a DIY wooden welcome post. What a great idea. 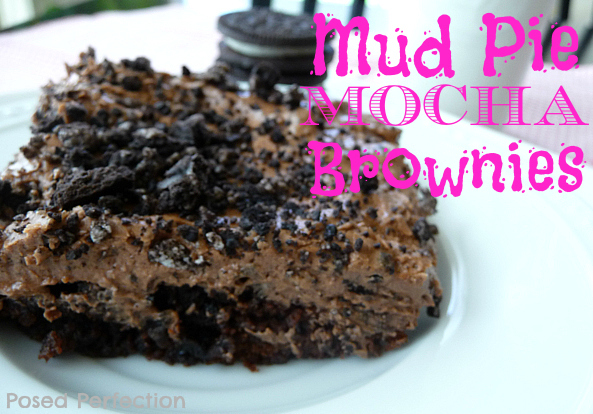 Posed Perfection shared her recipe for mud pie mocha brownies. Yummy! 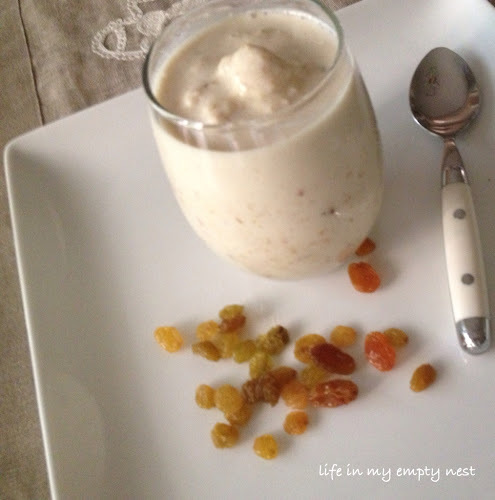 Life in my Empty Nest shared a recipe for a quick and easy instant oatmeal cookie smoothie.